Led by visionary epicureans preparing local and international fare, the exceptional dining venues at The St. Regis Astana offer authentic cuisine enhanced by seasonal ingredients.The Grill, our signature restaurant, pairs prime cuts of meat and fish with hearty rustic side dishes while La Rivière, which boasts a lively open kitchen, offers Mediterranean cuisine throughout the day with a choice of indoor or al fresco seating. Handcrafted cocktails and our signature twist on the St. Regis Bloody Mary are served at the vibrant St. Regis Bar, where guests are invited to indulge in rare vintages and a curated selection of the world’s finest champagnes. For private dining at any hour, our executive chefs design bespoke menus served by a discreet, intuitive St. Regis Butler. 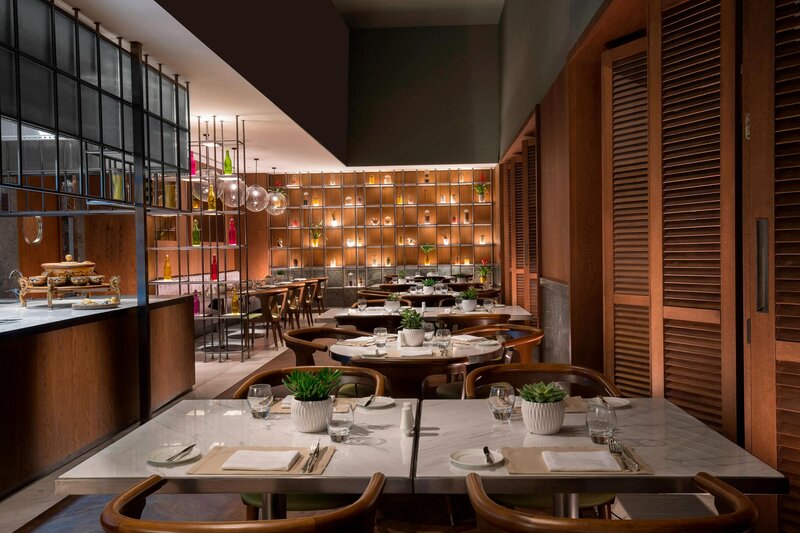 In its warm, inviting atmosphere with open kitchen and pastry and bakery corner, La Rivière offers a Mediterranean menu and a wide selection of the finest cuisine and wine in Astana. Indulge into the St. Regis Afternoon Tea Ritual with traditional or Kazakh teatime offerings. The St. Regis Bar offers a lively ambience perfect for socializing and celebrating after a busy day. 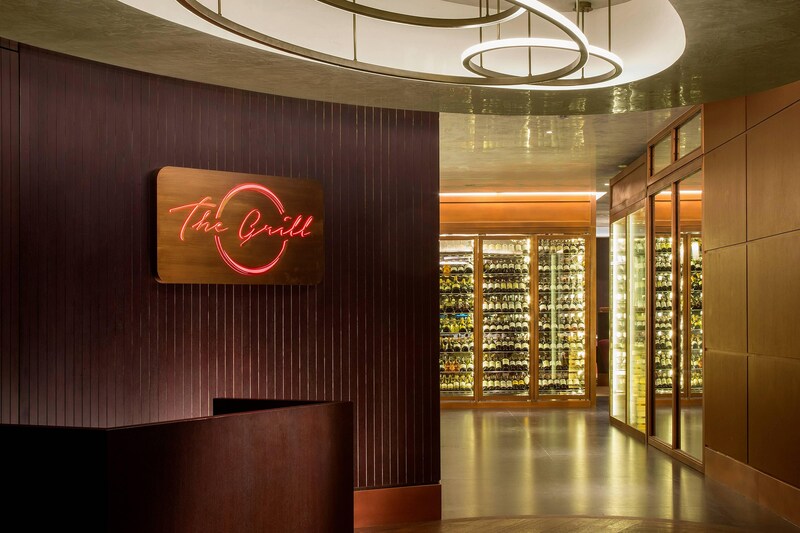 The bar features an exclusive selection of the world’s finest champagnes, rare vintage wines and hand crafted cocktails. Culinary concept of the restaurant is a high Kazakh cuisine, sophisticated and homemade tasty. Enjoy delicious Korean recipes passed down for centuries or taste classic Hansik dishes at Korean House. The restaurant offers homemade European cuisine, with comfortable ambience for relaxing meal with family and friends. Enjoy delicious steaks and wide selection of brewed beer. At the Qazaq Gourmet Restaurant, guests are given the opportunity to travel through the traditions of Kazakh cuisine, witnessing the revival of ancient nomadic recipes and the manifestation of the wealth of tastes of the Kazakh land.